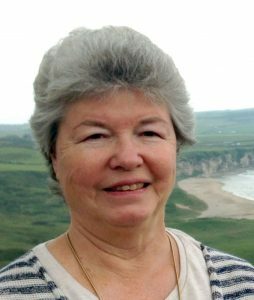 Eileen McAvoy became interested in communication and relationships through her own experience of parenting two children. She went on to become a trainer in the areas of mediation, conflict resolution, and facilitation. Early in 2002 she attended a 2 ½ day workshop with Marshall Rosenberg and realized that Nonviolent Communication (NVC) provided an approach to conflict that was much deeper and richer than what she was teaching. Interested in her own personal growth as well as sharing with others, she has studied extensively with a variety of NVC trainers and has provided training to groups as diverse as HIV patients at UNC Hospital, members of co-housing communities, home schoolers, church groups, and the general public. Eileen has also been part of Baba Tree International’s Play in the Wild! Animator Team, co-leading Community Camps in the UK from 2011-2013, and a participant in BTI’s ZENVC Ongo program.